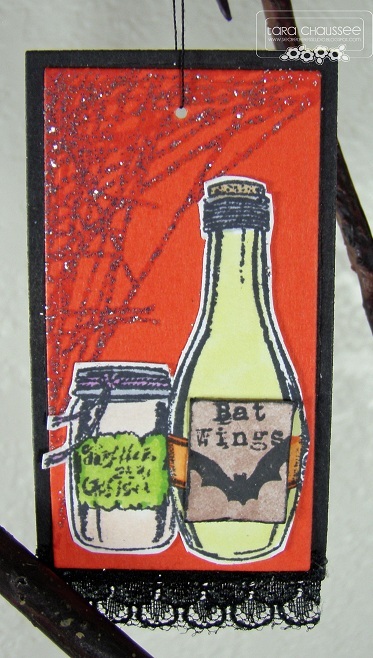 Halloween is drawing near and I have another great decor piece for the holiday! 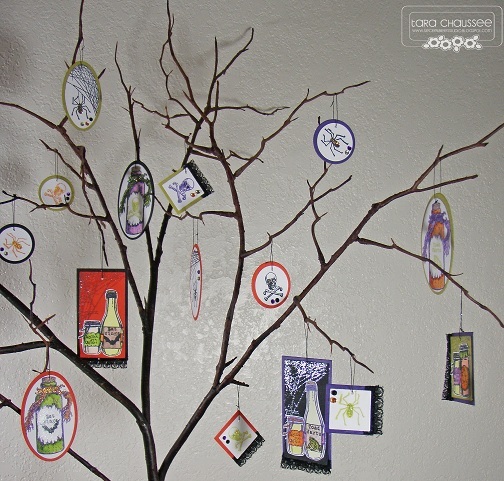 I used to have a mini black tree for Halloween complete with lights and tiny ornaments. I searched my house high and low and could not find it (I am notorious for throwing things away and then forgetting I did...) so I decided to create a new one of my own. 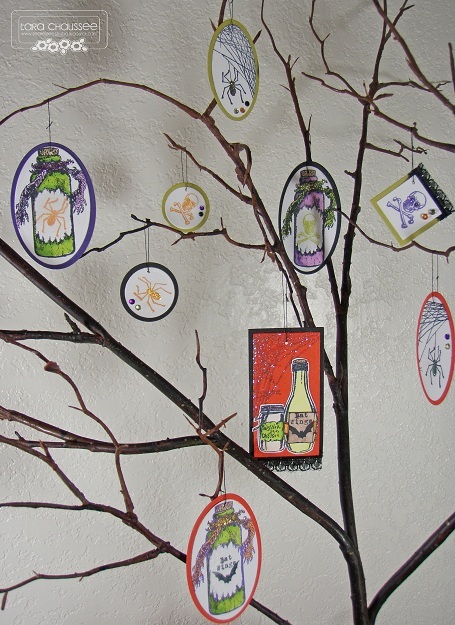 I purchased a scary looking branch from Hobby Lobby and then set out creating lots of spooky ornaments to hang on it. 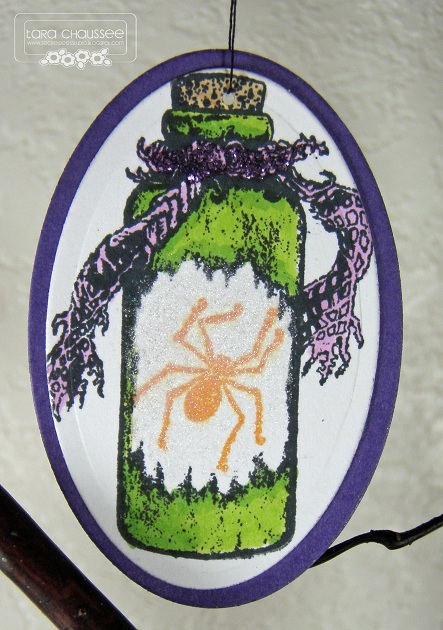 The ornaments were stamped with images from the 'Haunting Potions' stamp set from Raisin Boat which has scary jars, sinister labels and creepy spiders. I used My Favorite Things Die-namics to create the ornament shapes and then stacked them with Raisin Boat cardstock in Halloween colors. I filled a vase with black marbles for weight and stuck my 'tree' into the middle. Some raffia fills in the area at the top. 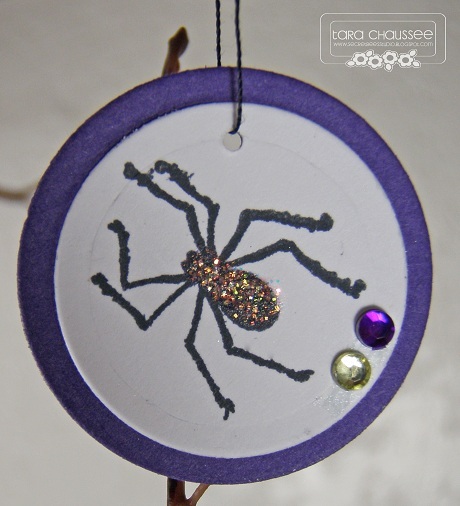 I then punched a hole in the top of each ornament, added some black thread and hung them on the branches. Voila! 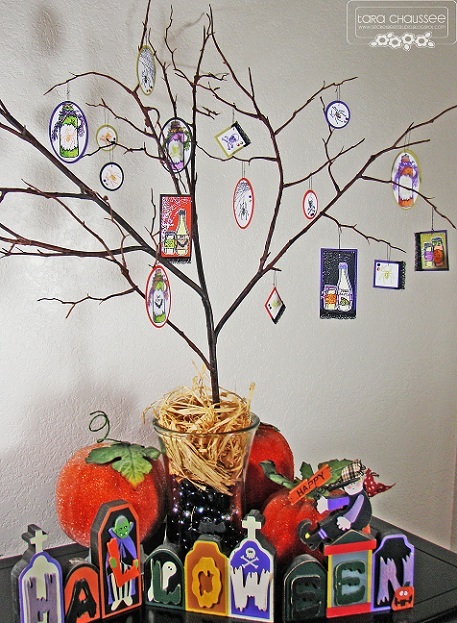 A great Halloween showpiece! What a cute idea Tara!! My girls would love doing something like this! You have the best projects!! !